Getty Images/Jose Luis Pelaez Inc.
Child health and development experts, including the American Academy of Pediatrics, have come out against using corporal punishment in kids. Extensive research has shown that physical punishment is not only harmful for kids' development as well as the parent-child relationship, but is also not effective in the long term. 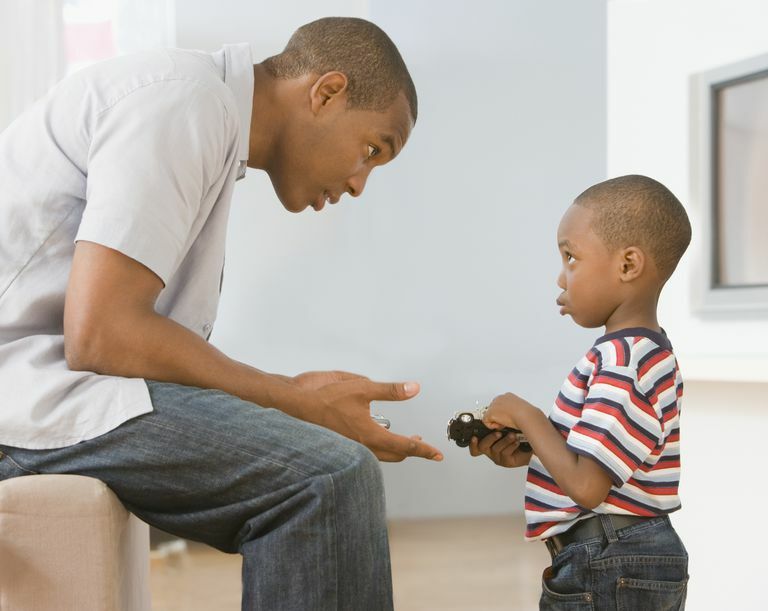 Parents, it seems, have been getting the message: More parents seem to be choosing non-physical forms of child discipline such as time-outs over spanking and other forms of corporal punishment, according to a November, 2016 study published in the journal Pediatrics. Researchers reviewed data from four national surveys of caregivers of kindergarten-age children that were done between 1988 and 2011. They found that parents’ attitude toward using physical punishment to discipline kids has changed over the nearly two decades, with fewer parents saying hitting is acceptable and more parents judging non-physical discipline strategies as being better for correcting kids’ behavior. Researchers say that this shift in attitude which occurred among all parents, regardless of income or education level, likely means that fewer parents are using physical punishment to discipline kids. Since 1988, the proportion of middle-income mothers who said they think physical punishment is appropriate dropped from 46 percent to 21 percent. Across all income levels, the percentage of mothers who reported that they would hit or spank their kindergarten-age child in response to misbehavior dropped by 20 to 26 percent between 1988 and 2011. At the same time, the percentage of mothers who said that they would give their child a time-out or send them to their rooms in response to bad behavior increased by 26 to 40 percent across all income levels. The percentages of mothers who reported that they had spanked or hit their child within the past week decreased for all income levels by 26 to 40 percent between 1998 and 2011. But while this study shows that some progress has been made toward teaching and guiding kids toward good behavior instead of punishing them by teaching them that violence is effective, there is still a need for child health experts, advocates, and parents to keep talking about the harmful effects of corporal punishment, such as increased risk for aggression and antisocial behavior (lying, stealing, cheating, bullying, etc.) in kids and increased risk of a parent losing control and abusing the child. Despite the shift, this study also found that nearly one-third of mothers in the lowest income levels—the group that has traditionally favored corporal punishment more than other socioeconomic groups—still support using spanking in response to misbehavior in kindergarten-age children. And as many as 25 percent of these moms said they used physical punishment on their children in the past week. What's Causing the Shift Away From Spanking? It's not exactly clear what's behind the trend of more parents moving away from corporal punishment—it could be a result of doctors and other child health and welfare experts spreading the word about extensive and well-researched evidence showing a clear link between corporal punishment and negative outcomes for kids, or it could be that this form of punishing kids is less socially acceptable than it used to be, or a combination of both factors. The goal should be to reach out and offer information and support to any parent who still believes that physical punishment is acceptable or effective. By encouraging those who still advocate corporal punishment to see the facts behind reasons parents today think corporal punishment works and breaking down those reasons to see why those reasons don't stand up to facts and examination, we can protect the most vulnerable members of society: children, who should be taught how to behave correctly on their own and develop the skills to regulate their own behavior so that they don't need to be constantly disciplined and who should not be physically hurt so that they obey at that particular moment, without learning how to regulate themselves in the future. Is Spanking a Child Ever OK? What Is Corporal Punishment and Is It Ever Appropriate?